This guide will show you step-by-step how to create dynamic applications with WebBot running on top of Google AppEngine. 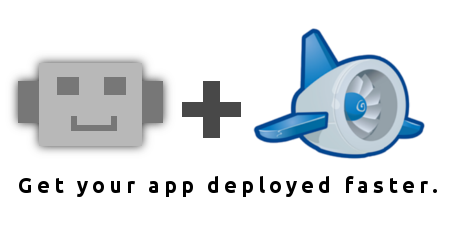 If you haven't already you will need to install the base AppEngine libraries and tools on your system: Download the AppEngine for Python libraries here.General instructions for setting up environment. Run this in the directory you want your AppEngine apps stored. It wil ask you for the AppEngine name of your app as well as a label and description. NOTE: you may need to start dev_appsever.py with --port=[number other then 8080] if 8080 is already being used. This guide will show you step-by-step how to create dynamic applications with WebBot running on top of Django. 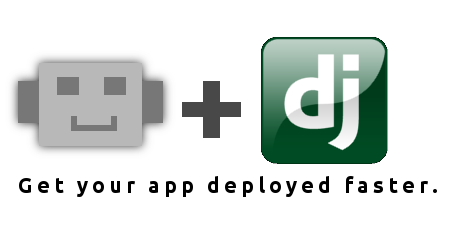 If you haven't already you will need to install django and create a basic django project: Instructions for installing django.Instructions on creating a basic project. WebElements a collection of python objects that enable developers to generate and interact with web apps server side. DynamicForm request handling library that enables separting your web app into its logical parts, and updating these independently with AJAX. It will than ask you for an app name, label, and description. Edit your Django project's setting file to include your new app under INSTALLED_APPS, and edit the core url.py file to redirect urls against the app to its url handler. You now have a WebBot Django app working locally! Starting or Re-starting your django server and accessing the app url should present you with an introduction screen which you can replace with your next great web app. For more info on editing your new app see the api usage reference. The latest source code for the WebBot framework is stored in it's GitHub repository. Keep in mind that WebBot leverages WebElements and DynamicForm which also have their own GitHub repositories. If we are missing your favorite platform, please let us know!